Inner Ecology Colon Hydrotherapy Los Angeles - If you don't release it, you keep it. If you suffer from: ConstipationBloating and gasSkin impurities dull complexionWeight gainlow energylow libido Then colon hydrotherapy might just be the right solution for you.Colonics remove toxins and waste fast, effective and gently. Call 310-699-4486 to schedule your colonic. Inner Ecology, 1024 Pico Blvd. #8, Santa Monica CA 90405The colon hydrotherapy clinic serving the greater Los Angeles Area: Santa Monica, West LA, Hollywood, Marina del Rey, Venice, Beverly Hills, Brentwood, Downtown LA, Studio City and Malibu. If you don't release it, you keep it. Then colon hydrotherapy might just be the right solution for you. Colonics remove toxins and waste fast, effective and gently. Call 310-699-4486 to schedule your colonic. The colon hydrotherapy clinic serving the greater Los Angeles Area: Santa Monica, West LA, Hollywood, Marina del Rey, Venice, Beverly Hills, Brentwood, Downtown LA, Studio City and Malibu. Then colon hydrotherapy might just be the right solution for you. Colonics remove toxins and waste fast, effective and gently. Don't let the outward appearance of the building fool you. It looks like an apartment building, but is for businesses. She's in the upper left corner. Once you get inside and meet Serena, all worries fly out the window. She is extremely professional and so warm, caring and personable that you feel right at ease. She's just a joy of a person and her suite is well decorated and cozy. My sister, a colonic pro, will only use the Libbe open system, which is what Serena has. We left feeling great and will be back again for sure. 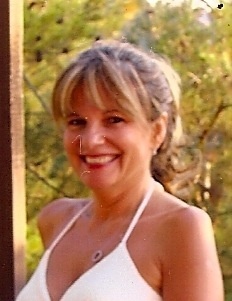 Serena Vit Director and Founder, Health Coach and Hydrotherapist. I am a resource if you welcome Vibrant Health Longevity andEnergy in your Life. Santa Monica, West LA, Hollywood, Marina del Rey, Venice, Beverly Hills, Brentwood, Downtown LA, Studio City and Malibu.